This is an online, interactive path that contains instructions, multimedia, and assessments where students can learn at their own pace. As an instructor, you can create and edit instances of this path, assign them to students, and view student progress. This is an online, interactive badge that contains instructions, multimedia, and assessments where students can learn at their own pace. As an instructor, you can create and edit instances of this badge, assign them to students, and view student progress. 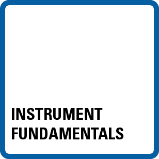 Given a measurement need, select the appropriate instrument and implement signal connectivity best practices for accurate and safe measurement. This badge earner is familiar with a variety of instruments and their basic capabilities, including oscilloscopes, DMMs, Programmable Power Supplies, Logic Analyzer and BERTs, function generators and others. This badge is earned by passing the related assessment. You have passed the assessment required for this badge. You have successfully completed the requirements for this badge. Select the appropriate instrument and implement signal connectivity best practices for accurate and safe measurement. 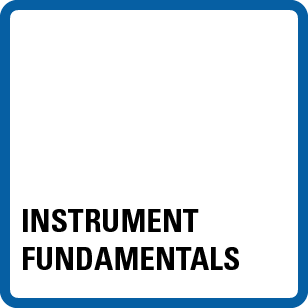 Understand the differences in the capabilities of an instrument vs data acquisition device. Select a learning path in which to display this badge.